Effective January 1, 2012, the Securities Exchange Board of India (SEBI) set requirements relating to KYC rules for Financial Institutions and Intermediaries including Mutual Funds to know their clients. KYC (Know Your Customer), is a term used to describe the customer identification process in financial institutions. Effective January 1, 2012, the Securities Exchange Board of India (SEBI) set requirements relating to KYC rules for Financial Institutions and Intermediaries including Mutual Funds to know their clients. All investors, notwithstanding the amount of investments in Mutual Funds, were henceforth required to comply with the KYC regulations for carrying out any transactions. It, therefore, proceeded that any investor participating in mutual funds transactions would be required to be KYC compliant as rated by a licensed KYC Rating Agency (KRA). This would be in the form of confirmation of identity, address, occupation and other information. 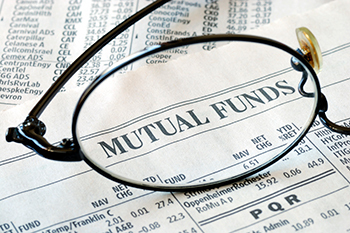 Below is how you can easily comply with KYC requirements for mutual fund investment. You need to have access to the internet, your Aadhar number and a registered mobile number, then log into the specified KRA website giving your details such as PAN (Permanent Account Number), email ID, Bank name, and date of birth, your tax status and mode of holding. After keying in these details, your KYC compliance status will be displayed. If you are not KYC compliant you will be required to add your registered mobile number and Aadhaar number. After which a onetime pin is sent to the registered mobile number you have provided, this PIN will be used to complete the Aadhar authentication process. You will then be required to upload a self-confirmed copy of e-Aadhaar and select a consent declaration as displayed on the screen. On completion of this process, your Aadhaar and registered mobile number is confirmed with the Aadhaar database of the Unique Identification Authority of India (UIDAI). Upon successful verification, the screen will display that you are e-KYC proved and eligible to carry out transactions in mutual funds. The Supreme Court in October 2015, directed that the usage of the Aadhar Card is voluntary and thus optional, SEBI followed with a circular confirming this. It is important to note that SEBI allows investment of up to Rs 50,000 per financial year for each mutual fund that has the Aadhaar based e-KYC using and you will have to undertake an in-person verification for investments that exceed this value per financial year.